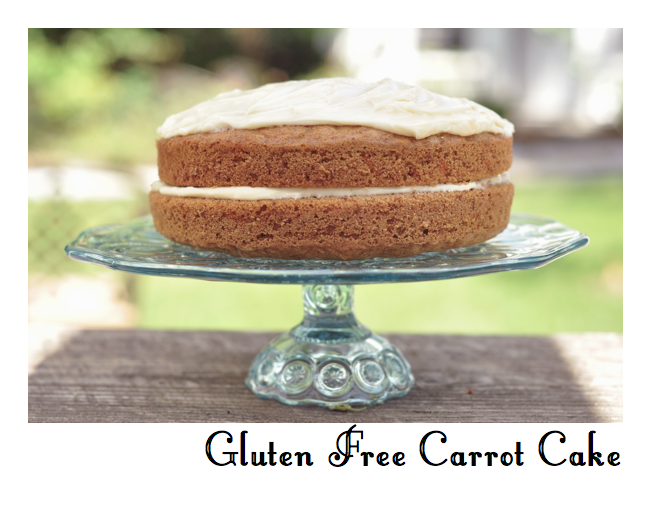 Carrot cake is definitely tops on my list of favorite desserts, next to doughnuts and cinnamon rolls of course. But seriously, I love the rich, moist, cinnamony taste. While it has that slight holiday feel, for some reason I always make carrot cake in the summer. I think it's because it's a great cake to bring to picnics and dinner parties because it's easy to make and looks slightly complicated with it's two tiers. Oh, and for some reason, it's guaranteed to turn out right. 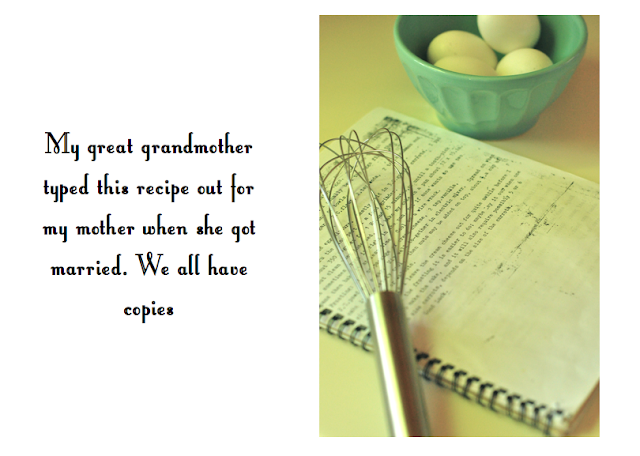 The recipe I use is an old one from my great grandmother Esther, who lived to 105. The particular copy I have was of one that was typed up in the 70s for my mother when she got married. 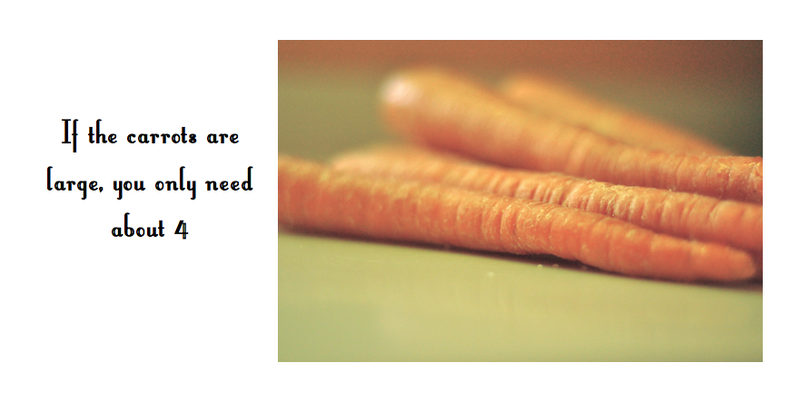 This past weekend I was faced with a new carrot cake challenge. My mother-in-law and sister-in-law are both gluten intolerant. Normally I would make a dessert and if they wanted to take a risk and have a bite, they were welcome. This time around I decided to make a cake that everyone could enjoy. 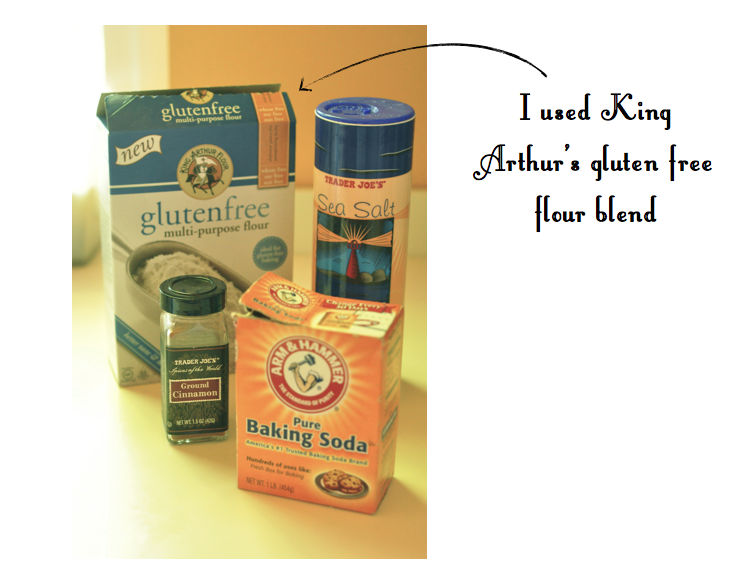 I decided to substitute the flour for a gluten free flour I found. It is a blend of rice flour and tapioca flour. 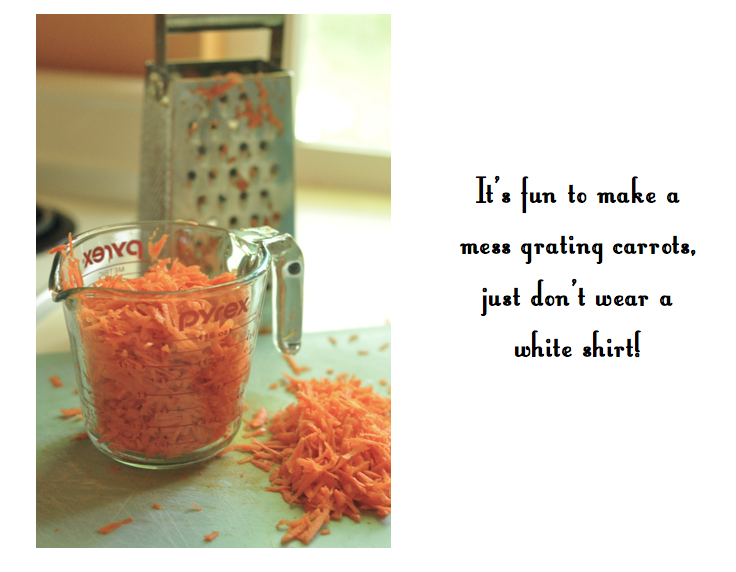 To begin with, grate the carrots. Then beat the eggs. I generally beat them in the mixing bowl then add the canola oil, rather than beat them in a small bowl and add to oil. This obviously saves using too many bowls. Once you beat the 4 eggs add the canola oil and mix. Sift together the sugar, flour, soda, cinnamon and salt. Older recipes always say "sift," which is not really necessary anymore. And while you could mix those ingredients in a separate bowl and then add to the egg and oil mixture, I like to just add them all to the mixture. Again, saves when you have to do the dishes! Once you've dealt with the dry ingredients in whichever way you chose, mix them into the eggs and oil and blend well, but not too long. Lastly, add the 3 cups of grated carrots and mix well. For the cream cheese frosting, mix together 1 packet of cream cheese at room temperature (8 oz), 1 cup of confectioners sugar (my grandmother's recipe calls for 2 cups, but I tried it with 1 since I don't like too much sugar and it turned out just fine) and 2 teaspoons vanilla extract. 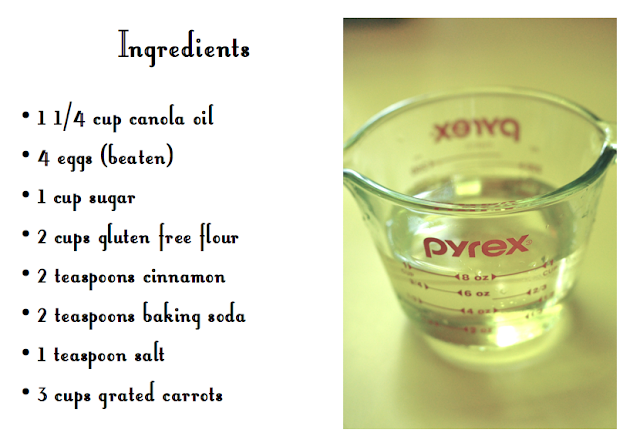 Blend the ingredients and then top the cake.